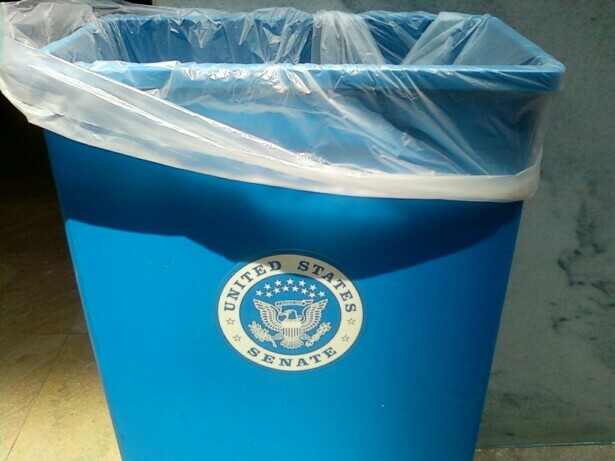 For decades New York City was famous for its trash. Gotham was associated with garbage for good reason as the city's streets, sidewalks and subways were literally littered with every object imaginable. Well, a lot has changed in The Big Apple besides the reputation New Yorkers have earned since 9/11 as being genuinely nicer and respectful to each other. 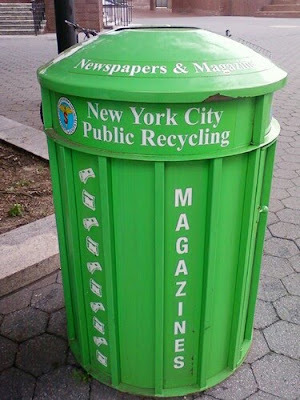 Recycling bin in Battery Park. 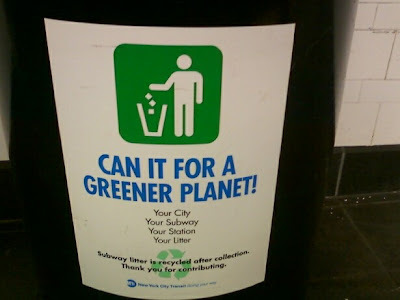 Recycling bin in Cortlandt St. subway station in downtown NYC. And down in D.C. while the Senate is stalled on comprehensive climate change and clean energy legislation, at least their office buildings provide a recycling option for our lawmakers as this one in Hart demonstrates. 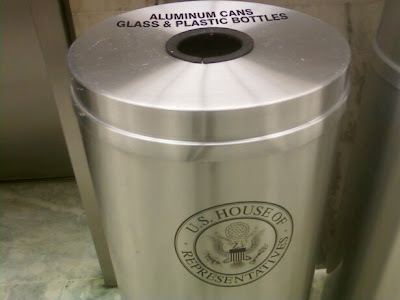 And not to be outdone, the House of Representatives is going green as well with recycling bins in their office buildings like this one in Rayburn.